Toluca Lake has long been a home for the stars, from historical celebrities like Bing Crosby and Bob Hope to modern-day superstars like Melissa McCarthy and Steve Carrell. This Los Angeles neighborhood is bordered by both Burbank and North Hollywood, and top film studios such as Warner Brothers and Disney Studios have operated nearby for years. 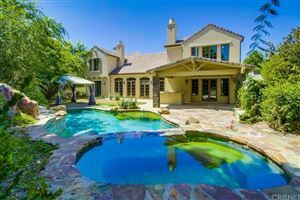 Besides the many celebrities who reside in Toluca Lake, there’s also plenty of people who are looking for valuable property and beautiful homes in southern California. The Toluca Lake homes for sale are largely comprised of luxury properties — ideal for those who work in the film and television industry. Currently, the median sales price of Toluca Lake homes is $2.2 million, with prices rising steadily. There is a high demand for homes in Toluca Lake, which is increasing the property value of the houses that are located in the community. In 2008, the population was estimated to be just more than 8,500 residents, and the number of people moving to the community has continued to rise in recent years. It’s considered a low-density neighborhood for the City of Los Angeles, making it the ideal place for those who want to get away from the crowds and tourists that can be found in other neighborhoods. Another reason that demand is high for Toluca Lake homes is the fact that there is an excellent elementary school located within its borders. The Toluca Lake Elementary School is a part of the Los Angeles Unified School District, and it has been heralded for its commitment to educational excellence. If you are hoping to be neighbors with the likes of Miley Cyrus and other internationally-renowned celebrities, then now is the time to consider purchasing a home in Toluca Lake. Contact us to learn more about the current market conditions.